In the fall of 2018 the CCGA released Best Practices Version 3.0. This includes updates developed through regional and stakeholder consensus. This is a continuation of the significant goal of the harmonized Best Practices Version 1.0 released in 2014. To order printed copies of The CCGA Best Practices Volume 3.0, please email info@canadiancga.com. Cost per book is $10.00 CDN and includes shipping and handling. 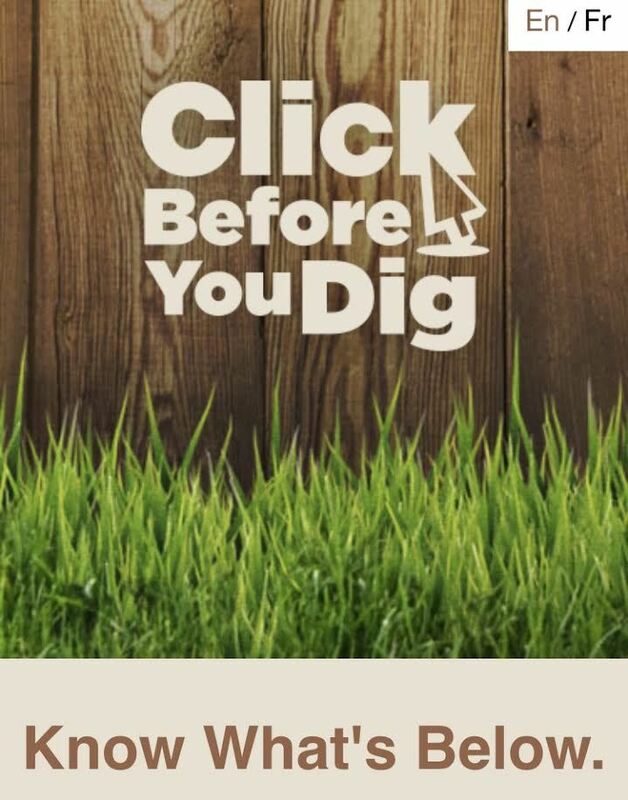 "ClickBeforeYouDig.com is Canada's only one-window national portal to initiate the damage prevention process anywhere in Canada serviced by a One Call Centre. Click on your province and request your locate online 24 hours per day, 7 days per week! You'll never be placed on hold and you'll be done in minutes." The Canadian Common Ground Alliance is the voice of Canada's Regional Partner CGAs dedicated to working toward damage prevention solutions that will benefit all Canadians. This website is a portal to Canada's Common Ground Alliance Partners and provides routine updates to the damage prevention issues of national interest the CCGA is managing on behalf of our Regional Partners. "Through shared responsibility among all stakeholders, the CCGA works to reduce damages to underground infrastructure - ensuring public safety, environmental protection, and the integrity of services by promoting effective damage prevention practices." Learn more about Bill S-229 and how you can help support this legislation.